Once you have reached level 19 or higher you will have the chance to be mentored (become a mentee), and can have up to 3 mentors at once. On the other hand, from level 49 and onward you will have the chance to become a mentor yourself (with up to 5 mentees at once). Should either of these roles appeal to you, you can access the mentor tab from your UI at any time. Once opened, the 2nd tab is used to look for a mentor, whilst the 3rd tab is used to look for mentees. Once you pick a player you wish to mentor (or be mentored by), click the become mentee/mentor tab to send the other person a notification. The other person will receive an invitation that they can either accept or reject. If accepted, congratulations! You are now either a mentor or a mentee, and either role can summon the other to their location at will, making teaching or acquiring knowledge much easier for all involved. Mentor quests: 10 points per round. There are 3 daily mentor quests. Scour dungeons: 1 point per monster, 1500 points cap per week. Chatting: Max 30 points a day. Exploration quests: 10 points per round. Dungeons: Max 2000 points per day. There are three different Daily Mentor Quest’s that each have their own requirements and teach different things, all of which usually become easier and more rewarding when performed in a group with your respective mentor/mentee. A mentee who has hit Level 59 and has been within the mentor/mentee relationship for 7 days can “Graduate” with a quest and be released from the mentee/mentorship and go their own ways. A mentee can also do a quest at Level 49 to cancel the relationship in order to become a mentor themselves. Besides the benefit of getting your very own senpai (mentor) to notice you… Or simply to create a knowledge seeking following of mentees to hang on your every wise word, there are additional rewards for mentoring/being a mentee. There are different rewards for level 59, 69, and 79, so make sure you stick with your mentee until level 79 before they move on. On the other hand, mentees don’t need to feel left out – they, too, get some awesome rewards for their time and dedication to learning. NOTE: Mentees are limited to only ONE graduation gift per character. However, mentors can have an infinite number of graduation gifts if there are more fresh mantees to be mentored. 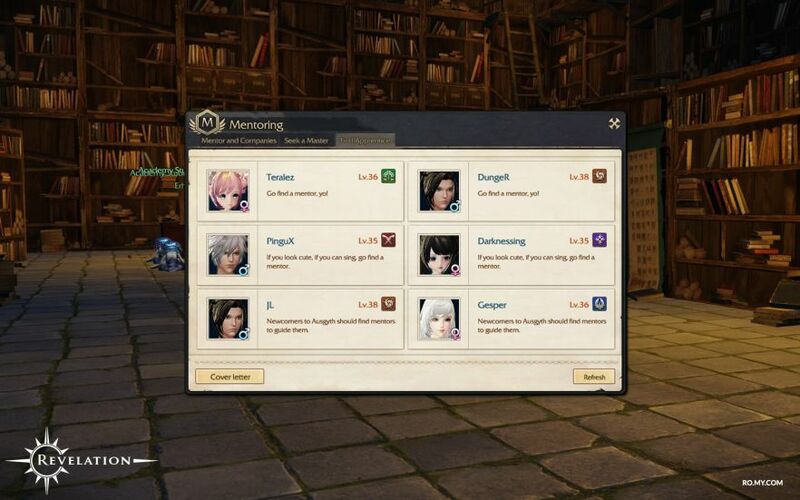 For example; if you graduate from Mentor A at level 59, both you and the mentor will get the rewards. 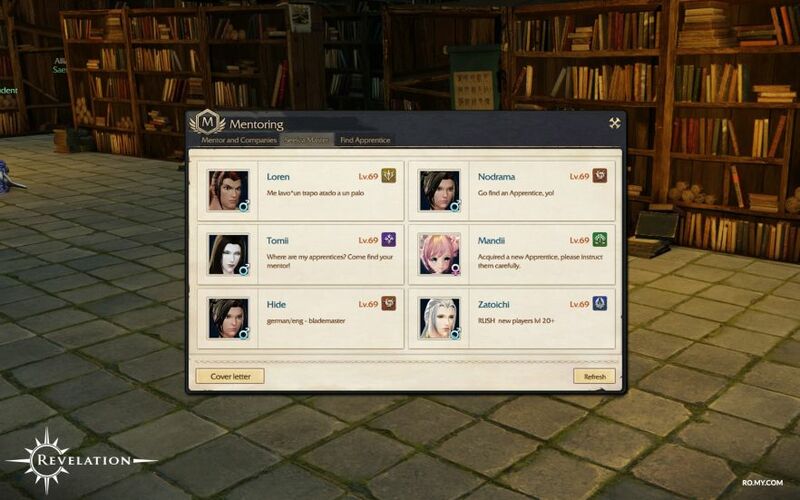 However, if you were to find a new mentor (Mentor B) and then graduate from Mentor B at level 69, neither of you will get a reward (mentor and mentee will not get rewards if the mentee has already “graduated”). To prevent this from happening, we recommend using “relationship break” option if you wish to go your separate ways. This option will break the mentor/mentee relationship without using your “Graduation” count. We challenge you to acquire the Master’s Clothes outfit and lead like the mentor you were meant to be!